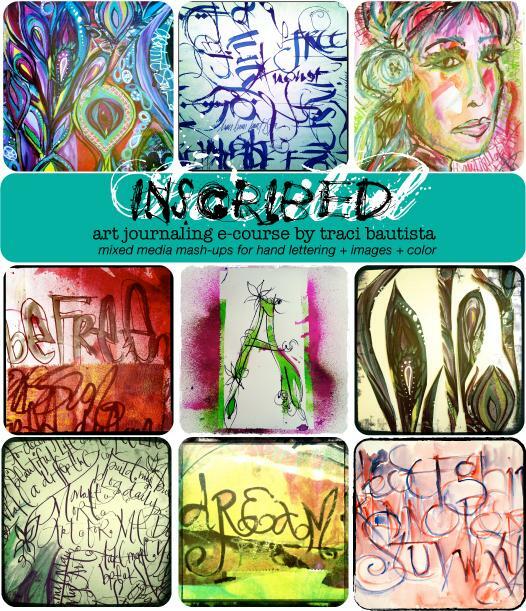 The pages in my art journals and sketchbooks are inscribed with visual stories told through my personal graffiti...a combination of symbols, layers of vibrant color and images. During this e-course you will be led through an artful journey to discover, play and tell your story. 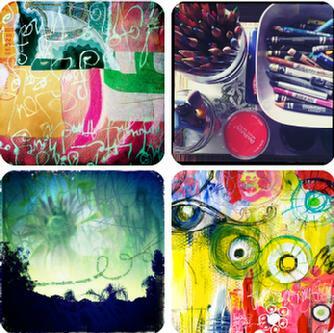 We will embark on a four-week workshop adventure presented in a collection of daily creative prompts to explore visual art journal techniques through unearthing inspirations, personal symbols, color and capturing images. 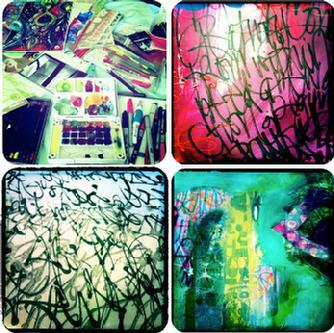 I will share a number of hand lettering, painting, collage and digital ideas to inspire your creative spirit. here's an overview of materials I will use during the e-course. Most of these are simple mixed media/art supplies. Please use what you have in your studio, try not to buy anything new. I will share my favorites during the workshop. mark-making tools - skewers, toothpicks, bubble wrap, etc. REGISTER: To register for e-course, click the BUY NOW button. You will be taken to a paypal payment page. CONFIRMATION: Once your payment is received, a registration confirmation will be sent via email within 72 hrs. EMAIL INVITATION: An email invitation to join the e-course site will be sent to you by August 12. LOGIN SET-UP: You will set up your login and password if you are new to my e-courses. APPROVAL: Once you set up your login, I will get an email to approve your membership. WELCOME: Once you are approved you will be able to access the online classroom. inscribed classroom opens August 12. This kit contains a selection of my favorite mark-making tools and a mix of color & b/w high quality LASER copies of my original artwork. It was created to be used in my INSCRIBED art journaling e-course. It can be purchased even if you are not enrolled in the e-course.Mark-making tools will vary. 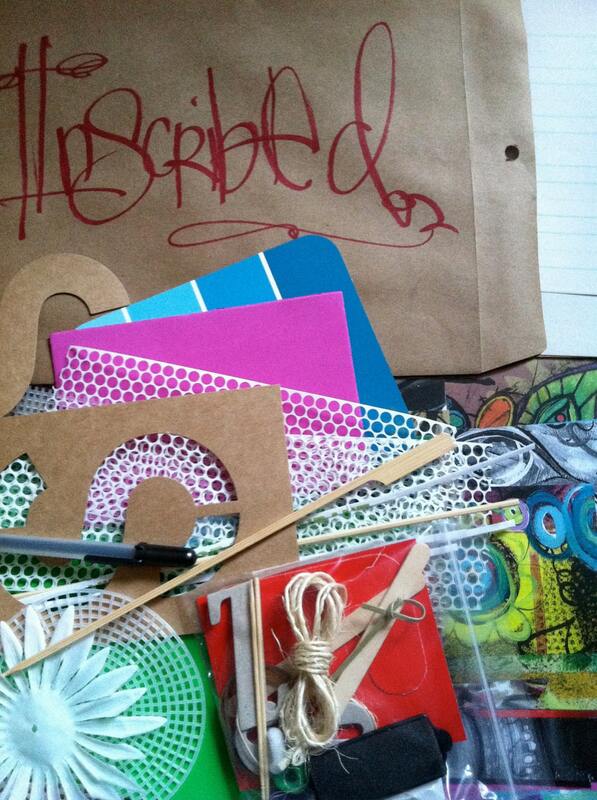 They include sequin waste, needle point canvas, self adhesive craft foam, wood mark making tools, stencils. *paper swatches range in size from 1"x 2" up to 8.5"x14"
*each paper kit is unique, contains a mix of color and b/w laser prints with bright & colorful backgrounds.